﻿﻿﻿﻿Winter’s Coming. It’s October 2009. It feels colder than it should be for the time of year, but not outside. Outside it feels warmer. Warmer and less condensation steaming your world up. Inside the bus your breath turns to mist. And this only adds to the condensation. As Autumn was passing into winter our bus was turning into a refrigerator. They say these old buses have an air conditioning system controlled by rolling the windows down. Clearly this only has any desired effect during summer, not winter. They also say that buses are notorious for having rubbish heating systems. Ours is made all the more rubbish because it doesn’t have a heating system. Not one that works anyway. The dashboard has three levers that control the heating. A green one and two red ones. The green one has two positions. On and Off. Or in our case Off and Off. The red ones, presumably, control the degree of heat. I’m not sure why there are two red levers. I think one of them works only when the other one is engaged. That’s to say, that’s how they should work when they work properly. I’ve read up on this stuff and this is how it works. The bus is called an air cooled bus because the engine temperature is controlled by cool air rushing over it, thus cooling it down to a temperature one or two degrees below the self combustion level. I believe VW designed this with a small safety margin, which is why all bus drivers carry a fire extinguisher with them. The cool air is brought into the bus by the sexily designed fins at the rear of the bus, which means the bus really needs to be moving for any air to be drawn over the engine. Owner’s Rule No. 32 – don’t sit idling in the heat for two long – like in a traffic jam on your way to the beach in June. Not that I’m allowed to sit idling for long anywhere you understand. Once the air is drawn in it is directed to the heat exchangers, which is a thing that has loads of thin fin like things on it. The hot oil in the engine circulates through the heat exchanger . The cool air passes over the heat exchangers and their thin fins thus helping to cool down the thin fins and the oil inside. The oil then goes back to the engine block a little bit cooler than it came in. . At the same time, the air is heated up by the thin fins – and that’s why it’s called a heat exchanger. The cool air exchanges some of its coolness for some of the engine’s heat. Everyone’s a winner. Once the cool air has become hot it continues its journey through some insulated pipes that lead to the front of the bus and if you turn the Green Lever to On the hot air comes straight into the bus through some vents by your feet. Toastie. The problem with our bus is twofold. One, the levers should be connected to cables that are connected at the other end to some flaps that open up the heater pipes that feed heat from the heat exchangers. Our cables aren’t connected, or even there in the case of one of the red levers. Two, it helps if the pipe work is a continuous pipe from the heat exchanger to the cab at the front. Our bus has pipes missing. About two 18 inch lengths have gone AWOL. I think I’ve found the problem. Not only that, I’ve only gone and ordered the replacement parts! They should be here by Christmas 2009. This bus is Aussie made, which explains the odd chip (on the shoulder) here and there. It also explains why some previous Aussie red neck owner decided to remove the pipes. Although, to be honest, you’re less likely to need a heated bus in the Aussie outback – a window that rolls down should do the trick. Note to self. Must buy a Fire Extinguisher. That bit about heat exchangers and oil and so on. I made that bit up. I completely made it up. But it makes sense. It might even be right. But probably not. I know what you’re thinking. Yeah, Ok. I admit it. I’m talking hot air. 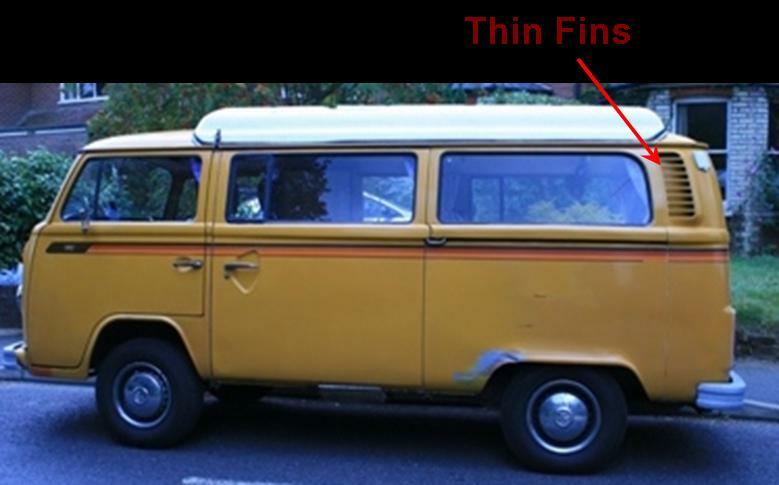 This entry was posted in The SapaBus Blog and tagged campervan refit, VW Bay, VW Campervan, VW Heating. That’s quite a good description of an oil cooler. Does your bus has an oil cooler? Which engine does it have anyway? The 1.6?